Leading Manufacturer of zero liquid discharge plant from Ahmedabad. We are leading manufacturer, Importers and Service Provider of Zero Liquid Discharge Plant and our product is made up of good quality. 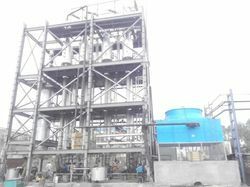 Zero Liquid Discharge Plant Led by the team of efficient professionals, we are able to offer Multiple Effect Evaporator Plants to our clients. These plants are made using the high-quality raw component in tandem with international quality standards. Owing to their easy installation, rugged construction and longer functional life, our evaporator plants are highly demanded in the market. Multiple Effect Evaporator Plants are extensively catering to the needs of textile, pharmaceutical, automobile, chemical, and dyeing industries.